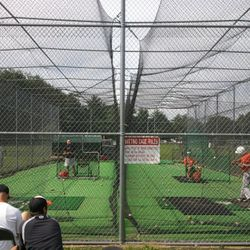 The Varsity Baseball Complex is located at the Pennsbury High School East Campus at 705 Hood Blvd. 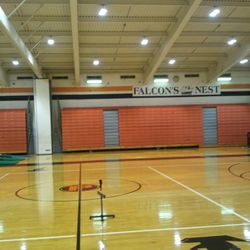 There is parking at both the East gym parking lot or the gravel lot next to Levittown American (off of New Falls Rd). The home of Falcon Varsity Baseball is now "Vic Napolitano Field", named for former PHS Baseball coach. 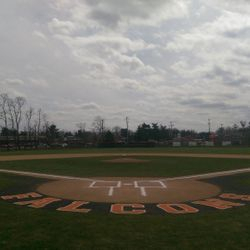 It is one of the nicest in the area: 5' Turf Halo with wings and shockpad installed around homeplate circle, the infield has an underground sprinkler system with 30 sprinkler heads, Home(2) and visitor(1) bullpens, Two 75' turfed batting cages, Full digital scoreboard, and a FALCONS turf halo around the home plate dirt. 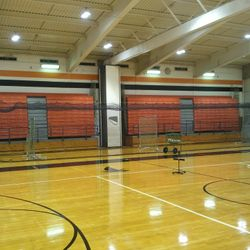 More upgrades to the facility will be coming within the next few years. The JV field is located between the East and West Campuses. The outfield is shared with the Freshmen football field which is located close to the Field House. The JV Field has a outfield portable fence mirroring the dimensions of the Varsity field. 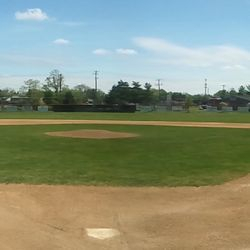 The Freshmen Baseball Field is located near the bus dock of the West campus. There is a batting cage located at the field.